All over the world the climate is changing and scientists are trying to fathom the effect it will have on the Earth. The increase in the concentration of CO2 and other greenhouse gases in the atmosphere is often pointed out as the primary reason behind the documented climate changes. But, some scientists point toward a possible link between solar activity and climate change. Even after years of scientific investigations, scientists have yet to find a substantial evidence which can explain how solar magnetic activity affects climate. In 1997, Henrik Svensmark and Eigil Friis-Christensen proposed a hypothesis, cosmoclimatology, later this was pursued further by Svensmark. According to the theory, the increase in solar magnetic activity results in a strong solar wind, which acts as a shield against the cosmic rays trying to penetrate the atmosphere by reflecting them back into space. The decrease in the amount of cosmic rays striking the atmosphere may lead to less cloud formation and thus causing a rise in temperature due to more of the Sun's energy reaching the surface of the Earth. This period of strong solar activity will be followed by a quiescent period resulting in a sudden decrease in the temperature on Earth. These cosmic rays play a pivotal role in the formation of radioactive carbon. Thus, when sunspots are at a maximum there is a significant decrease in the concentration of radioactive carbon in the atmosphere, which has been proven from the recorded data. But the relation between cloud formation and cosmic radiation is still missing. 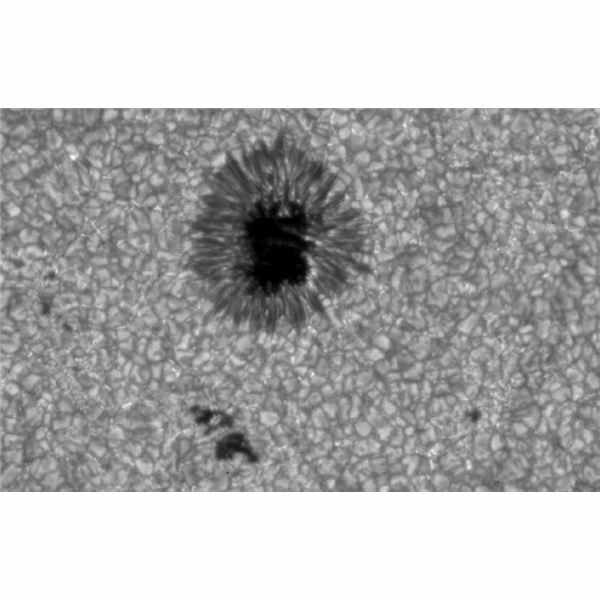 Sunspots are regions on the solar surface, which appear darker than the rest of the surface and are sources of great magnetic activity. The number of solar spots varies over an 11 year period, and it is referred to as the solar magnetic cycle or just solar cycle. The sunspots are formed by the clustering of magnetic lines in an area and result in solar flares and solar winds. These flares carry an immense amount of magnetic field with them. The solar magnetic activity has an effect on the ozone concentration. Beside that, there is a change in solar irradiance and in the amount of cosmic rays reaching the Earth, which can have some impact on the global climate. In every cycle there is a time in which the sunspots number maximize which in turn result in increased magnetic activity and increase in the solar irradiance. This increase will naturally cause an increase in atmospheric temperature but to what extent is still to be resolved. The increases in UV radiations change the ozone concentration in the stratosphere, which in turn affects the lower troposphere and eventually the climate around the world. Previous recorded evidence show that the colder periods in little ice age coincide with periods of minimal sunspot activity. But this information is either incomplete or not conclusive enough to make scientific predictions, and scientists are unable to make much progress in this direction. Scientists believe that the effect on ozone has some impact on the global temperature and in the wind formation in the stratosphere, but the extent of which is difficult to predict due to the difficulties in separating the solar effect from the changes produced by other natural and manmade sources. Even though solar cycle repeats in every 11 years, the cycle is observed to be getting shorter since the last century. According to a study conducted by Professor Kenneth R. Lang of Tufts University, as the solar cycle become shorter, the solar activity also becomes more intense. From his observations on the temperature variation in the northern hemisphere, he found that atmospheric temperature increases during this period. The current climate models are incomplete, as they underestimate the solar magnetic activity and its influence on the climate. Even though the exact nature of the relationship between solar activity and the climate change is still unclear more and more scientists insist on remodeling our climate models in light of the emerging new evidences.